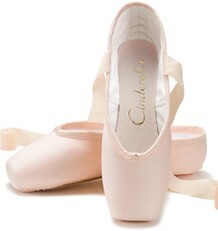 I am always thrilled to discover any new pointe shoe brand and that goes double for those from South America. I am surprised, yet very pleased to see how many brands are coming from Argentina that I have never heard of before. My latest discovery is the brand Jowy Queen. I love the company logo; a beautiful, regal crown. The Jowy Queen Dance Supply Company has a product showroom for dancers located in a part of Buenos Aires, Argentina called Nunez. You can read more about this large, vibrant metropolitan city here on Wikipedia: Nunez, Buenos Aires. They produce multiple products for the dance community including other types of dance shoes, soft ballet slippers, leotards and accessories. 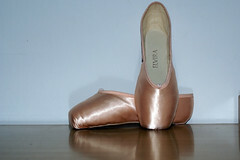 They not only sell their dance shoes through their company website, but can also be found on eBay Argentina as well. One of the most baffling things about some of these dance supply merchants is how they combine different languages on one page. The words Jowy Queen Dance are English. The pointe shoe descriptions on their website are in Spanish. Part of the category tabs are readable for Spanish readers, part for English readers. Interesting! 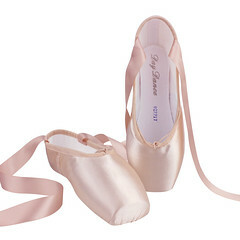 Jowy Queen pointe shoes consist of one model that is available in two colors; pink or beige. 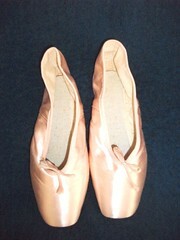 It is described as a full sole shoe for studio practice and has a medium vamp length. 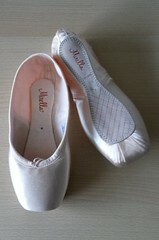 You can find out more about this Argentinian pointe shoe brand by visiting their official website @ Jowyqueen.com. They also have a Facebook page you can visit where you can click on their photo album and see the shades of satin. Update 3/2/2018- Links have been removed as they no longer work. 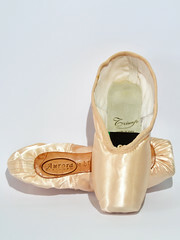 This entry was posted in Spanish Brands and tagged Jowy Queen Dance products, Jowy Queen pointe shoes, pointe shoes made in Argentina, Spanish pointe shoe brands. Bookmark the permalink. I was so surprised to read that there are 61 companies making pointe shoes. 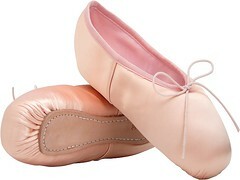 Do you have any idea how many of these also produce ballet flats?? Thank you in advance!! I don’t really know how many of these companies make other types of street footwear, but many of them produce a huge array of products that include classical dance shoes, regular street shoes and specialty shoes. The only way to find out is to visit each site listed here and check their product inventory; a time-consuming project to say the least!